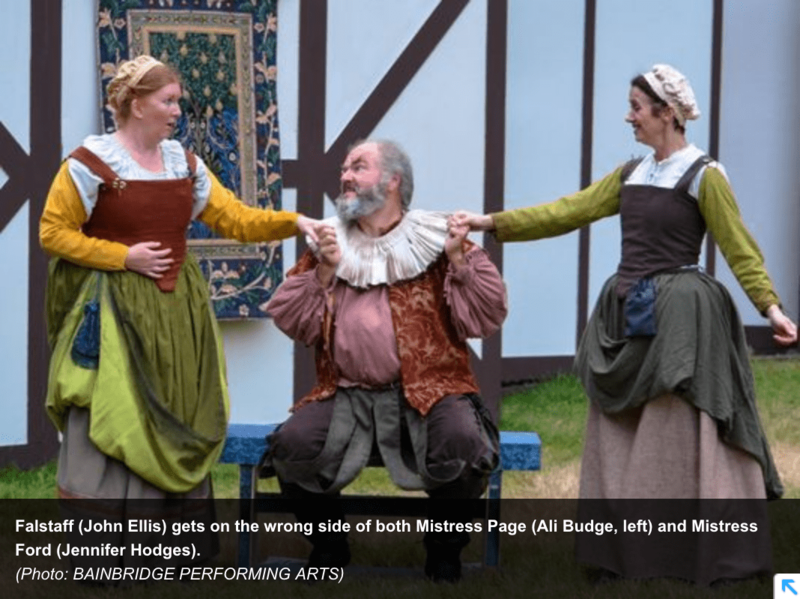 Grow Community investment partner John Ellis is a featured performer in “The Merry Wives of Windsor,” now appearing at Bloedel Reserve as part of its fifth annual The Bard at Bloedel series. Performances of this timeless Shakespeare farce, co-produced by Bainbridge Performing Arts, run Thursday-Sunday through July 23. Take your picnic blanket and head to Bloedel for an enjoyable summer evening of local theatre! Times and tickets are at www.bloedelreserve.org. Longtime thespian John was featured in the most recent edition of the Bainbridge Islander, the weekly mail-out edition of Kitsap Sun. Read the story here, or watch the Sun’s video preview of the production online here. https://growbainbridge.com/wp-content/uploads/2017/07/Screen-Shot-2017-07-18-at-12.08.21-PM.png 800 1068 Grow Team https://growbainbridge.com/wp-content/uploads/2018/05/growlogo-300x110.gif Grow Team2017-07-18 19:09:172017-07-18 19:10:05Grow partner John Ellis a featured performer in “The Merry Wives of Windsor"